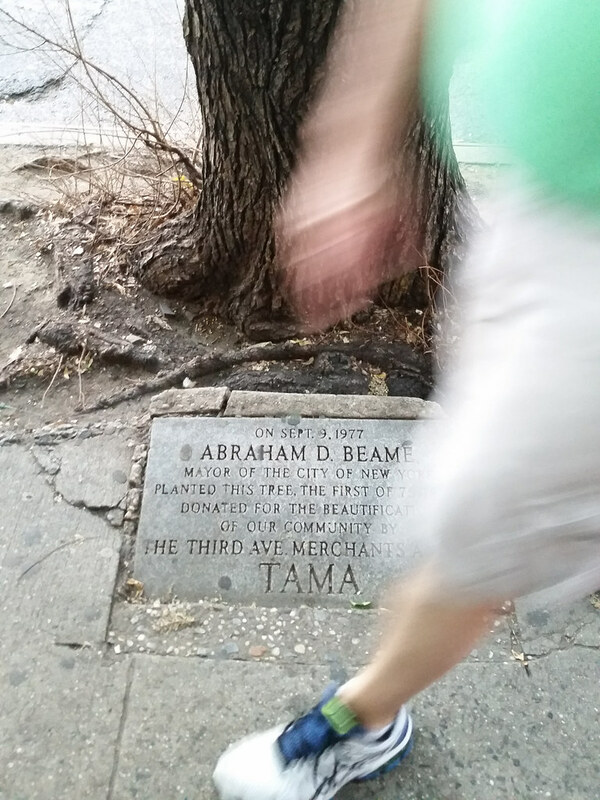 Abraham D. Beame, mayor of the City of New York, planted this tree, the first of 75 trees donated for the beautification of our community by the Third Ave. Merchants' Assoc. The guys I ran into yesterday who were assembling the world's largest tennis ball mosaic told me about a free Songs of the Soul concert today in Manhattan. While waiting in line for the concert, I looked down at the base of an American elm on Third Avenue near 23rd Street and noticed this plaque. Beautifying a community may seem like a joyful cause, but Mayor Beame probably wasn't in the sunniest mood during the planting ceremony. As this blog points out, September 9 was the day after he lost the Democratic mayoral primary.